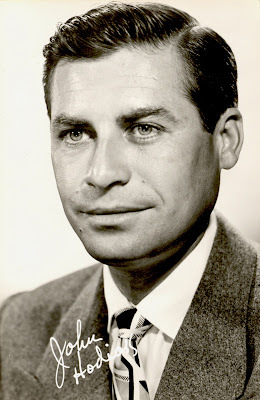 A terrific high school athlete in the Detroit area, John Hodiak chose acting despite a heavy Ukranian-American accent. His good looks and charm won audiences over, and he got his first big break in the radio production of the comic strip as Li'l Abner. American movie-goers were shocked when news came of his untimely death from heart failure. John Hodiak died while shaving in the home of his parents in Tarzana. Thanks Gary, you're the bset. JOHN WAYNE LIVED IN ENCINO IN THE 1960s.